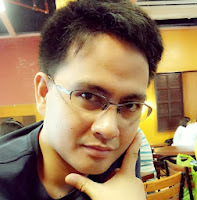 A few years ago, I got interested in using link shortener in sharing my blog post in facebook and twitter to avoid being flagged as spam in social media. I used lots of them and encountered this shorte.st last month and it’s new to me. I read from other articles that it really pays while sharing posts on Facebook, twitter and the likes. We all knew that adl.fly and others is widely used and I already tried some of them but the earning is not that impressive, so I gave myself another try for shorte.st and I am really impressed that it is really paying. They also have unique style of giving ads wherein they automatically redirects the viewers to my site within 5sec after showing their ads. Shorte.st is basically the URL shortening service that helps you earn money as well, not a main source but additional earning opportunity for your blog. 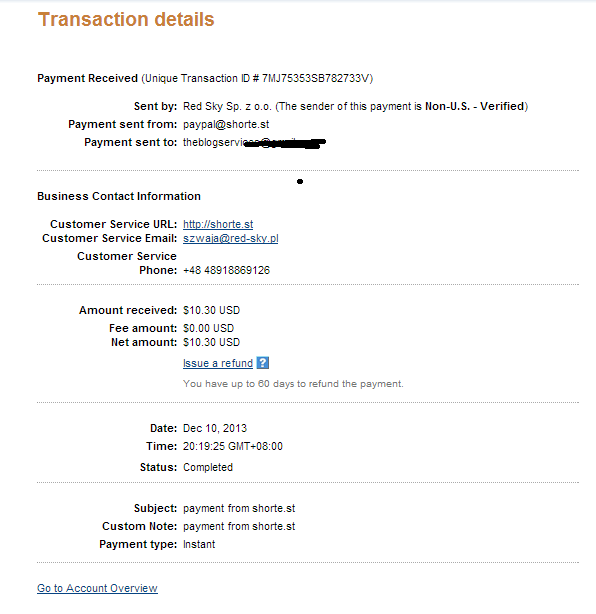 Now it is time to find out why Shorte.st pays you to post their links online on Facebook, twitter and other social sites. This article will help you understand everything and eventually help you start using this link shortener that is not just dedicated to making you organize your links on social media but helps you earn as well. They are based on Europe link shortener. 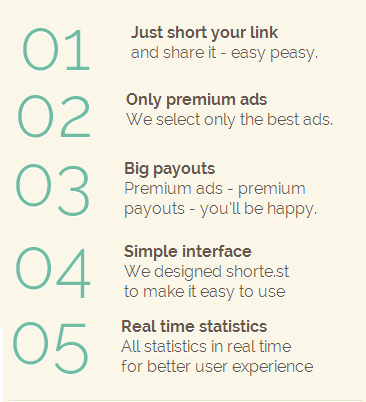 Shorte.st is an advertising network based on links that are spread over the Internet. Unlike other ad networks they don’t need even a single pixel of your precious webpage space. They simply take care of your links. Every time a user clicks a link on your website they will redirect to an intermediate page with an ad, after five seconds the visitor being taken to the destination URL. Their rates changes daily maybe due to advertisers demand, the rates ranges from 0.3$ - 1.66$ depending on the country where the clicks came from. Visit here for their updated rates everyday. EARN 20% on referrals - lifetime, so register now under my link if you want here as a token of informing you on this earning opportunity. Most question will be "What will I share on Facebook or Twitter that may earn me more with shorte.st? 1. Share Facebook Images Links, like funny or scary photos and trending photos out there. No need to upload the photo, just view the uploaded image by others and then right on the image and copy the image link/location then that link you copied must shorten with your shorte.st account and share it on Facebook. This will surely increase your earnings. You may join facebook group with more than 1M members here were you can share your link to earn more in shorte.st. 2. YouTube Video links; like funny videos, scary videos and trending videos, just search on YouTube and you will find a lot to share, just copy the link of every video then shorten the link and use that for sharing on Facebook, twitter or on any social media. 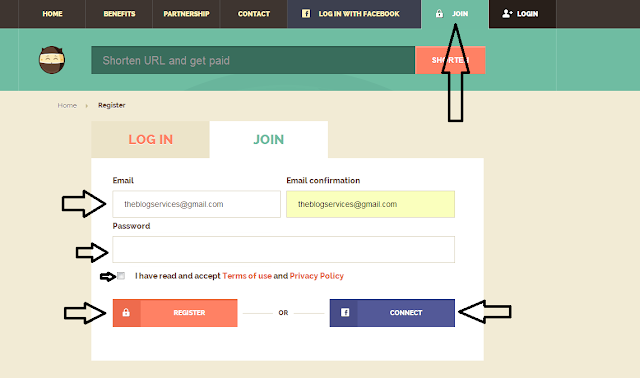 I personally recommend to use them for additional earnings for your blog. It may not be that big earnings but still earning. Sir, what will I put in the "State" field of the Settings page? Philippines is not a state? I'm from Philippines, too. But the "State" field could not be left as blank. Thanks. Just put N/A or leave it blank. Thanks for the awesome tips! Dami mo naitulong bro :) Thanks! Yes they are paying. 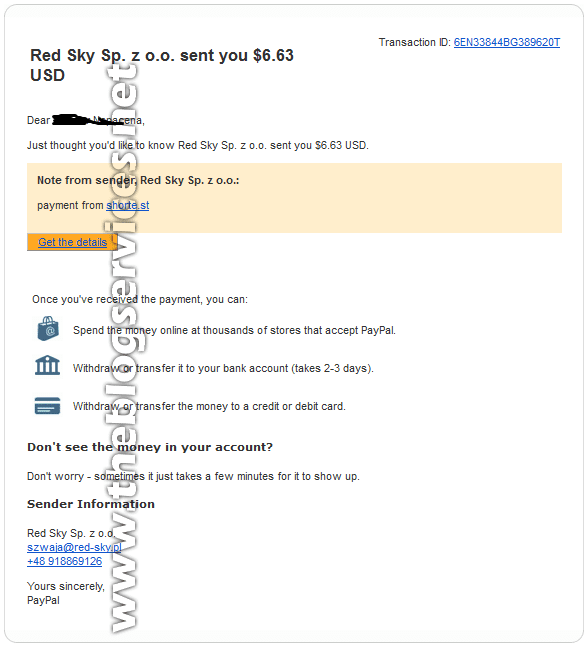 See payment proof above!